The chic Tote Changing bag by Skip Hop provides a top of the range changing bag perfect for keeping your little ones essentials close at hand. 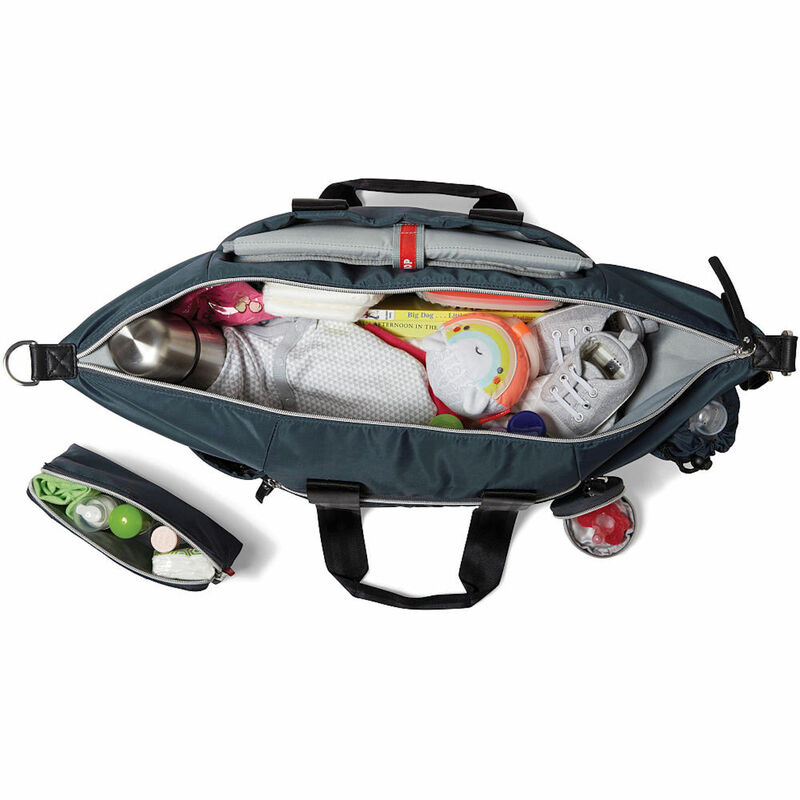 Featuring multiple internal and external pockets the unique changing bag allows you to keep baby’s items organised and is perfect for journeys whether long or short. 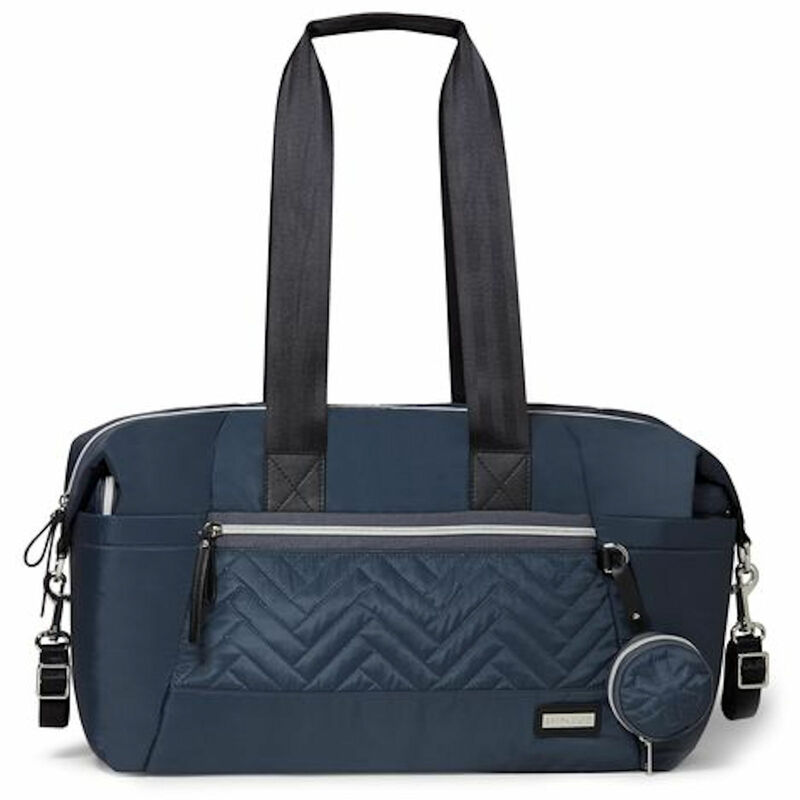 Complete with cushioned changing mat for pit stops on the go, the changing bag also includes a paci pocket designed to hold smaller items for shorter trips out and about. 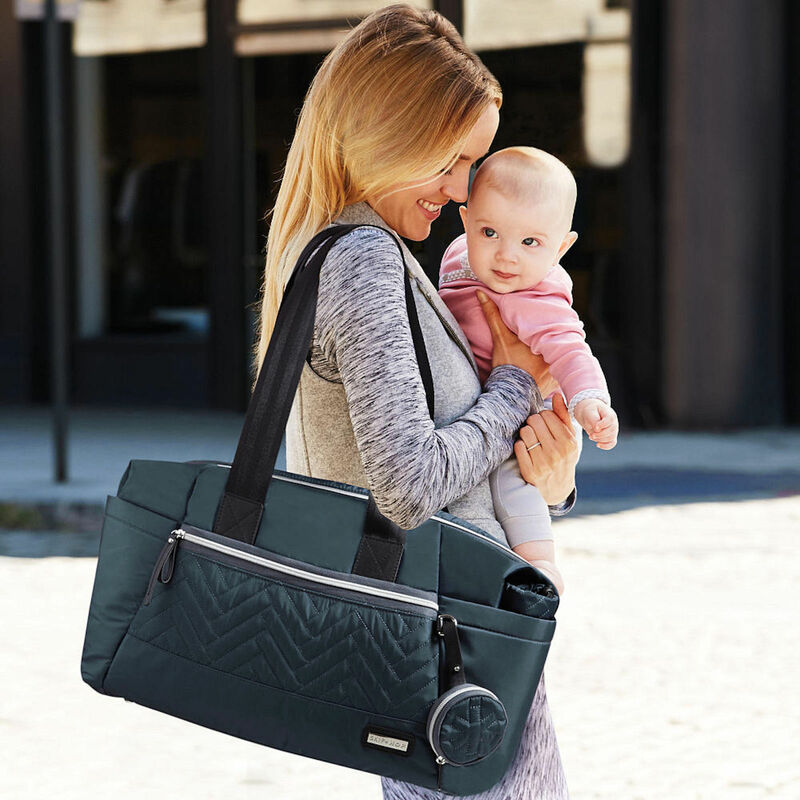 This stunning bag can be carried like a tote or messenger bag and when you find both hands need to be free simply attach your bag to your stroller using the included stroller straps. A+ great product and seller!